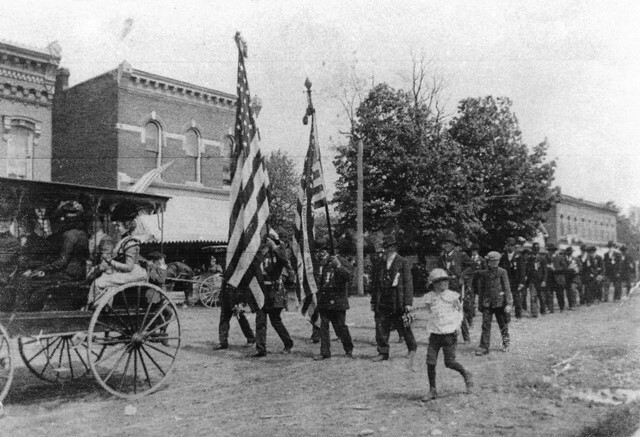 Pictured is the parade of the Grand Army of the Republic Civil War Veterans on May 30, 1898. John Fries is carrying the large flag. John D. Smith carries the small flag and Asa S. Wing is to the left of the small flag.